The power is on back here in Maine, but my thoughts are with those who are still struggling in the aftermath of hurricane Sandy. That was a beast of a storm. 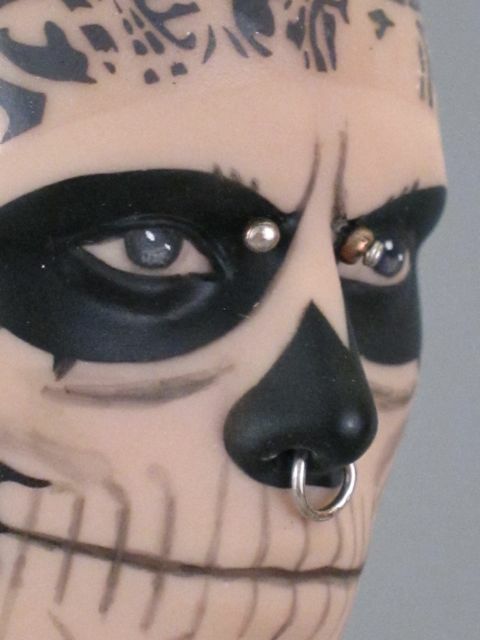 "Zombie Boy" by Tonner Doll. As the holiday season approaches, there are a lot of choices to be made in the play doll market. The shelves here in Maine are well-stocked with plenty of temptations. You could buy a Robecca Steam Monster High doll, or bring home any of the five Bratzillaz witches. You could have some mix and match fun with a creative Cutie Pops doll or stick with the more fashion-forward La Dee Da line. Perhaps an articulated Winx Club fairy is perfect for your house, or maybe you'd rather just grab some clearance Liv dolls while they're still around. Even after you settle on the right doll, the accessories present a whole new array of choices. While some accessories, like the new La Dee Da outfits, will only work for the dolls they are designed to fit, other accessory lines are interchangeable. Perhaps the Novi Stars' cosmic companions like to hang out with your Mystixx vampires? Just because you have a Monster High posse doesn't mean that you can't buy them a Barbie car. A Disney Store Rapunzel can hang out in Hayden's house just as easily as she can lurk the halls of Monster High. Both Mattel and MGA have released coffee shop playsets for 12" dolls in the past few months. 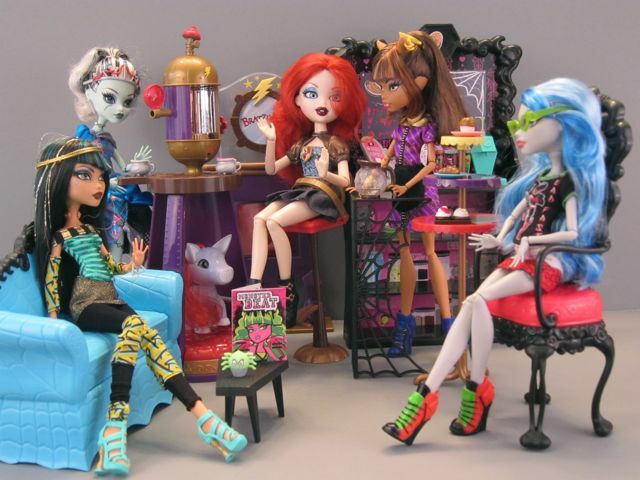 Mattel introduced the "Coffin Bean" set for Monster High dolls in April, and MGA's "Cafe Zap" for Bratzillaz hit the shelves about a month ago. I have been searching for the perfect chair to display my 12" dolls, but I haven't had a lot of success. I tried a Barbie chair (from an overpriced kitchen set) but it was way too flimsy and slippery. I was delighted to see that the two new cafe sets each have nice looking seating options and figured I'd offer up a comparison review while continuing my quest for a nice, sturdy chair. Monster High "Coffin Bean" and Bratzillaz "Cafe Zap." 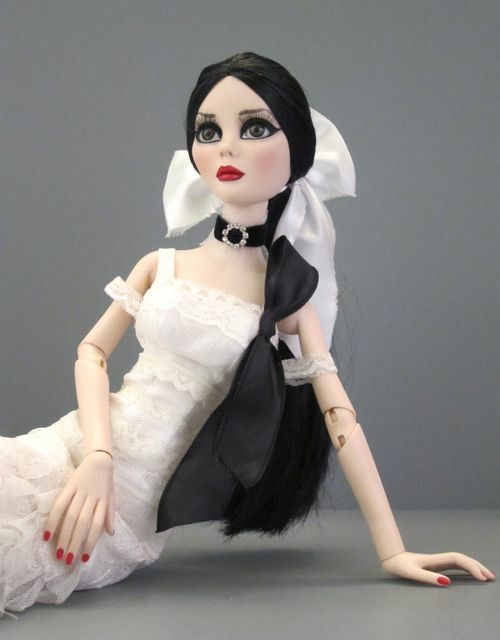 Evangeline Ghastly is an 18.5" ball jointed fashion doll designed by Joe Petrollese and sculpted by Robert Tonner. Evangeline is marketed through Tonner's company, Wilde Imagination, which is also home to the popular 16" vinyl doll, Ellowyne Wilde. Evangeline Ghastly made her first appearance in 2007 as a resin doll. Back in 2007, my doll collecting tastes were much narrower than they are today. At that time, dazzled by Tonner's beautiful new Cinderella sculpt, I had little interest for the bizarre, dark-themed, and relatively expensive Evangeline. When I saw her bug-eyed, lanky-limbed promotional pictures, I pretty much laughed and shook my head, grateful that I wasn't going to be tempted into collecting a new line. Evangeline's exaggerated features fit well with her over-the top back story. She is a mortician's assistant, lives in an attic, dresses with a flamboyant Victorian style and has a humanoid pet skunk. The Wilde Imagination website says that Evangeline was inspired by Tim Burton's Corpse Bride, among other quirky icons. This is a fun fact for me because seeing the Tim Burton line of Tonner dolls in person (during my trip to the FAO Schwarz store in Manhattan in June) was a big contributor to my new-found appreciation for the darker, stranger dolls in Tonner's diverse lineup. If it weren't for this new perspective, I don't think I ever would have given Evangeline any serious consideration. Two other things contributed to my willingness to acquire an Evangeline doll. First, in 2009, Wilde Imagination added a vinyl version of this doll to their regular collection. This dropped the price considerably, and also eliminated the concerns about yellowing and breakage that come with most resin dolls. Also, I recently found a collector who was willing to take a doll I didn't want anymore in exchange for this intriguing Tonner Con vinyl exclusive Evangeline, "Dark Angel:"
As you might have heard or noticed in the stores, Disney recently released Cinderella from the vault...in Blu-Ray DVD. I already own the movie, but this is still a pretty exciting time for me. It's not so much the Blu-Ray version of the movie that I find exciting, but the fact that many stores have new Cinderella displays with all kinds of dolls and outfits and sparkly blue decorations. These gaudy displays brighten my day and put a child-like smile on my face every time I see them. I absolutely love Cinderella. Why do I love Cinderella so much? Well, first of all, to be clear, it's the general story that I love, not just the 1950s Disney movie version of the story. I like the Disney movie a lot, but it's the plot that has always captivated me--in all of its incarnations. I guess I just enjoy the rags-to-riches fantasy, mixed with fairy tale love. I also cling to the notion that kindness, generosity and hard work will prevail over selfishness, greed and vanity. Ever since I was a child, my imaginary stories have all revolved around some version of this tale...usually with lots of horses added into the mix. I have two favorite versions of the story. One is the 1998 movie Ever After, starring Drew Barrymore and Dougray Scott. I love Barrymore's spunky interpretation of Cinderella and Scott's petulant prince. My other favorite Cinderella story is Julia Quinn's intelligently written romance novel, An Offer From a Gentleman. It's a bit of a guilty pleasure, but I find the book completely charming. It is a relaxing, Austin-esque escape from reality. 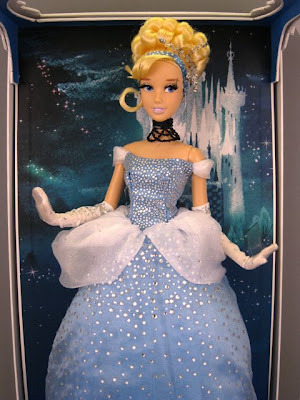 Disney Store 18" Limited Edition Cinderella.